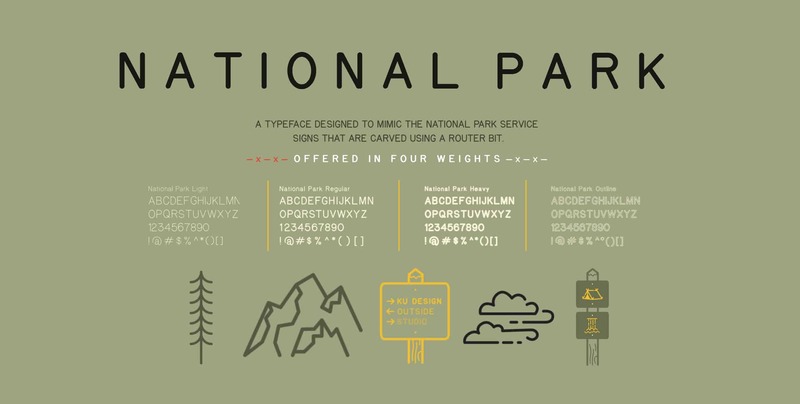 National Park: A Typeface Designed To Mimic The National Park Service Signs That Are Carved Using A Router Bit. Love the story behind how the National Park Typeface came to become a Free Download; a typeface made with 4 styles by The Design Outside (DO) Studio. 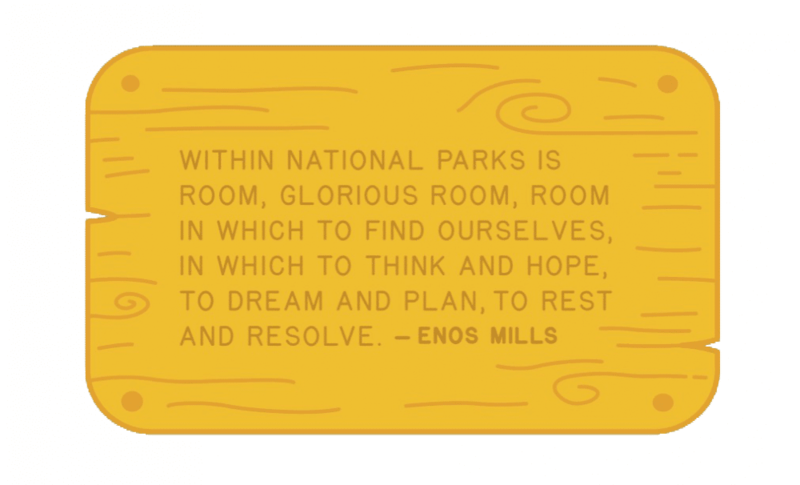 One of the quotes on the National Park Typeface website is, “Our National Parks belong to the People, so this typeface should too.” Which pretty much sums up the rationale behind it being a free download. 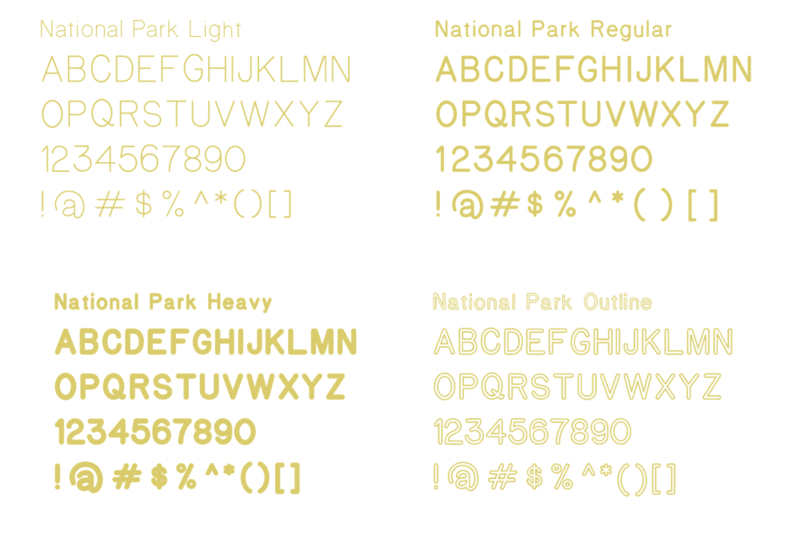 The four Font Styles are: National Park Light, National Park Regular, National Park Heavy, and National Park Outline. Head on over to the National Park Website to download it. They do suggest a small donation which goes towards, web hosting, font updates and other pro bono projects they might get involved with for the parks. I was supposed to be fishing that was why I was here, but it was windy or slow or both…or maybe just maybe I had finally caught and released enough fish for the day. I had hiked and fished pretty hard like most who live in the flatlands and find themselves in the mountains for a few days and are trying to make up for lost time away from alpine streams and beautiful trout. Anyway I wasn’t fishing for some reason and was wandering around following a deer trail turned into fisherman’s trail then back to another trail as sometime fisherman do. I had trekked pretty far that day and wasn’t exactly lost, but I needed a little reassurance that I was heading the right direction when I came across one of those ubiquitous signs you see in a national park. You know the ones that have the text carved or “routed” into it. Entering Rocky Mountain National Park. The router’s “bit” follows the path and gives the letters its stroke weight or thickness only when engraving a sign. It doesn’t really exist as a typeface unless a sign is made. I saw those familiar words. 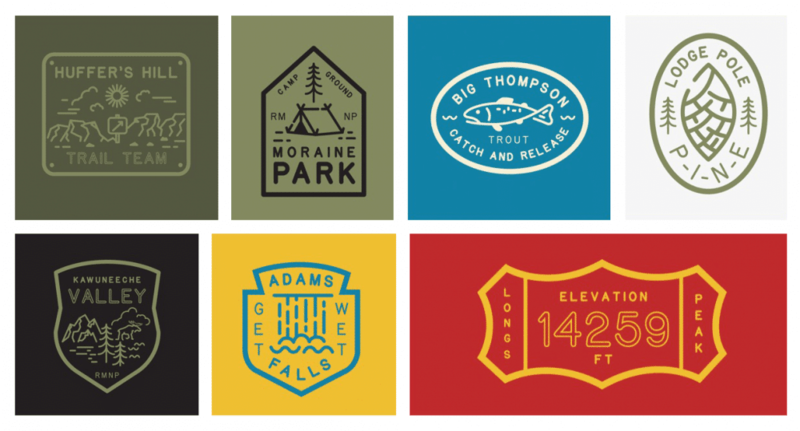 Set “National Park Service, United States Department of the Interior” — style. I wondered if it actually was a typeface or “font” that anyone could download and use? Do park rangers have this as a typeface on their computers to set in their word docs, pdfs and power point slides?